Myrtle Beach, South Carolina is gearing up to celebrate its Canadian visitors for the 58th year in a row as part of the Annual Canadian-American Days, which feature some hefty discounts to help offset the difference in Canadian exchange rate. 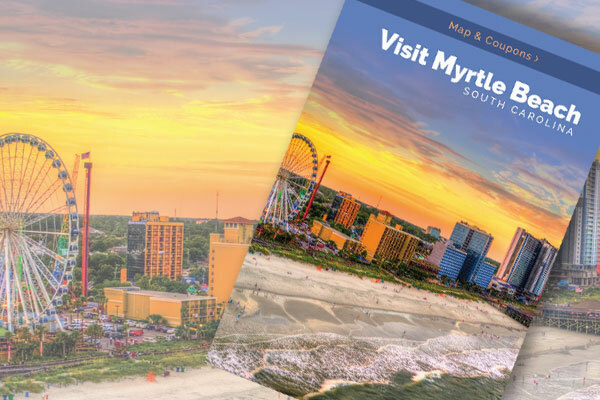 And while the 58th annual Canadian-American Days lasts only one week – March 9 – 17, 2019, select Myrtle Beach area hotels, merchants and attractions are offering discounts from January through April 2019 for travellers with a valid Canadian passport. Ranging from 25% to as much as 55%, the discounts are designed to help Canadians “make up” the difference in the Canadian exchange rate. During Canadian-American Days, Canadians can enjoy complimentary coffee and donuts at the Myrtle Beach Area Chamber of Commerce at 1200 North Oak Street while they gather information on the region’s vast-array of attractions. Canadians can also enjoy special tours in Conway, SC. March 12-15, the city of Conway, just a short drive from Myrtle Beach, is offering tours of the Bryan House, Waccamaw River Tours, an historic walking tour, and Horry County Museum tours. For more, go to www.MyrtleBeachAreaChamber.com .